Congratulations to "Deborah H. and Patricia B. ", the winners in Anne's giveaway. Please contact JUST ROMANTIC SUSPENSE to claim your prize. Thank you to all who participated! “You avoid me.” The words were French, and said in a mock-accusatory tone. With a startled gasp, she glanced up to see the watcher-from-across-the-street, only now falling into step beside her, as though they were old acquaintances. He was tall, with brown hair, and a dark stubble of beard which made a stark contract with the white, charming smile he bestowed upon her, his eyes alight with humor. Rather than make a denial, she stammered, “I—I don’t know why you watch me; it makes me uneasy.” She glanced around to see if there was anyone near enough to offer aid. “My English is better,” she lied. He was indeed handsome—dark and handsome; it quite took one’s breath away. Startled, she paused, but he made a gesture with his hand. “Keep walking, s’il vous plait.” He slid her a mock-defiant glance, at his use of the French phrase. “Oh—trimming shears.” She could feel her color rise. Aware that she should—perhaps—be screaming for help, instead she could not suppress a smile as she shook her head in exasperation. “Who are you? Please—I have half a mind to call the Watch.” It would be a shame, though—handsome and charming didn’t come her way very often, working in a milliner’s shop. “Josiah.” His gaze was suddenly sharp upon her face. 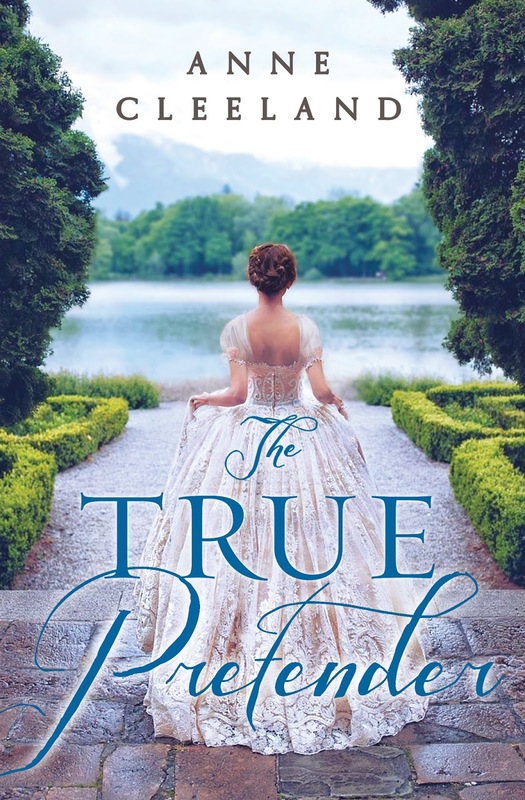 Anne will be giving away 2 paperback copies of THE TRUE PRETENDER to two people leaving a comment or email entry. Remember to stop back here to check if you are a winner! Giveaway ends 11:59pm EST June 14th. Due to GDPR regulations you no longer need to submit your email address in the comments. If you have been selected as a winner your name will be posted at the top of the post. You may then contact maureen@justromanticsuspense.com to claim your prize. Your email address will be shared with the author/publicist providing the giveaway. Thank you so much for having me, Maureen! Sounds thrilling and love the cover. This sounds wonderful & such a stunning cover. The cover is lovely. After revolutions, those who find themselves on the "wrong side" of the winning faction must often find shelter in another country. Spies, other expatriates, and local officials who may not trust your intentions are all hazards. As Epione finds out, innocent intentions and keeping a low profile are often not enough to avoid danger. The True Pretender sounds like it will be a good, suspenseful read.